One of the few communities on AMI that has this many amenities! From 5 acres of bay front grounds with 2 pools, tennis and pickle ball courts, a fishing pier and community kayak docks and walking paths, this community has something for everyone. If biking around the island or one of the nature preserves is your thing, there is bike storage and storage rooms for all your bike and beach equipment. The condo building with it 8217;s ELEVATOR and under building parking for owners and guests provides added convenience that most island condos do not have. The whole community has recently gone through major improvements to grounds and amenities. With only a short walk to one of the many beach access points and a trolley stop right in front of the community, this location is second to none. 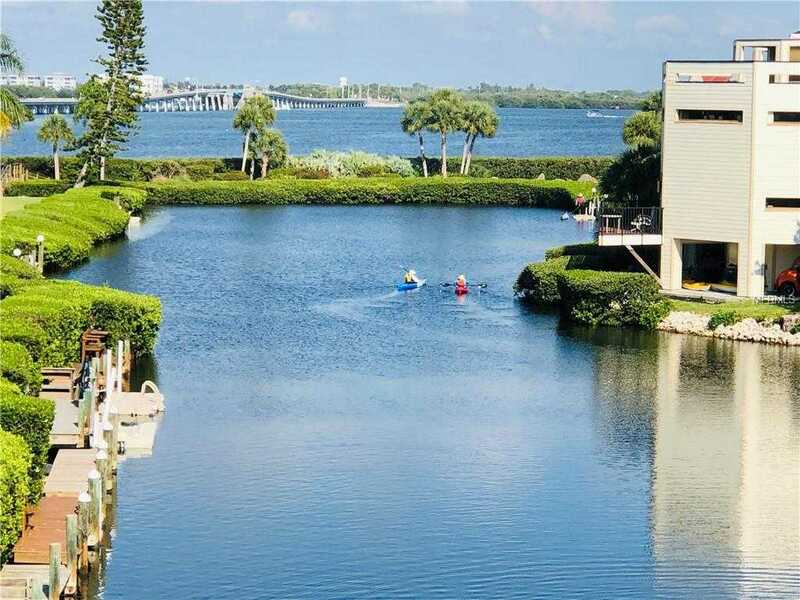 Besides the unsurpassed common amenities, this unit has a view that most can only dream of, with full water views of the bay and lagoon, there are water views from most of the unit. With a rear lanai as well as an open air front gathering spot to watch sunsets and visit, this condo is a must see! Whether it 8217;s for a full time residence or seasonal use, or maybe to bring in a little income, this unit will fit the bill. With it 8217;s favorable rental policy, owners have options. With the home coming fully furnished, just bring your personal items and start enjoying island life! Please, send me more information on this property: MLS# A4431320 – $435,000 – 3801 E Bay Dr #207, Holmes Beach, FL 34217. I would like to schedule a showing appointment for this property: MLS# A4431320 – $435,000 – 3801 E Bay Dr #207, Holmes Beach, FL 34217.